Out-of-production and hard to find! 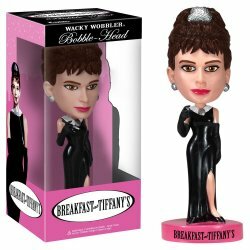 Celebrate actress Audrey Hepburn's most memorable role with this Breakfast at Tiffany's Holly Golightly Bobble Head from Funko. Now you can have breakfast, lunch and dinner with one of cinema's most legendary characters in bobble head form. The lovely actress won her 4th Academy Award for her portrayal of the glamorous Holly Golightly. 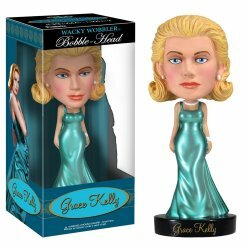 Vinyl look-alike bobble head celebrates the movie's 50th anniversary. Approx. 7 inches tall.